Graduations are happening all over from pre-school to college. 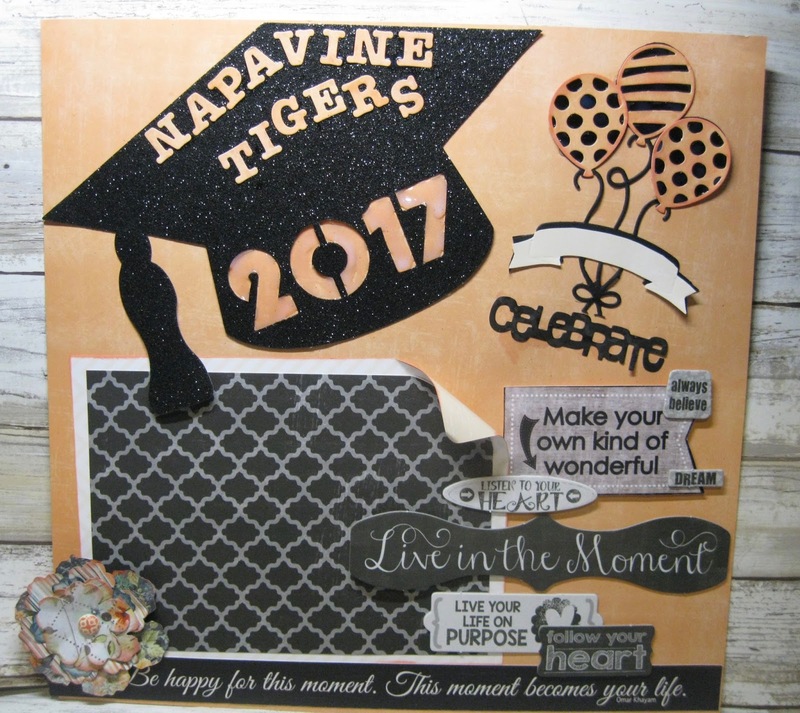 Kathi here to share with you a 12 x 12 layout, I created for this time of the year for our local high school. I have mixed and matched several paper collections to create this layout. 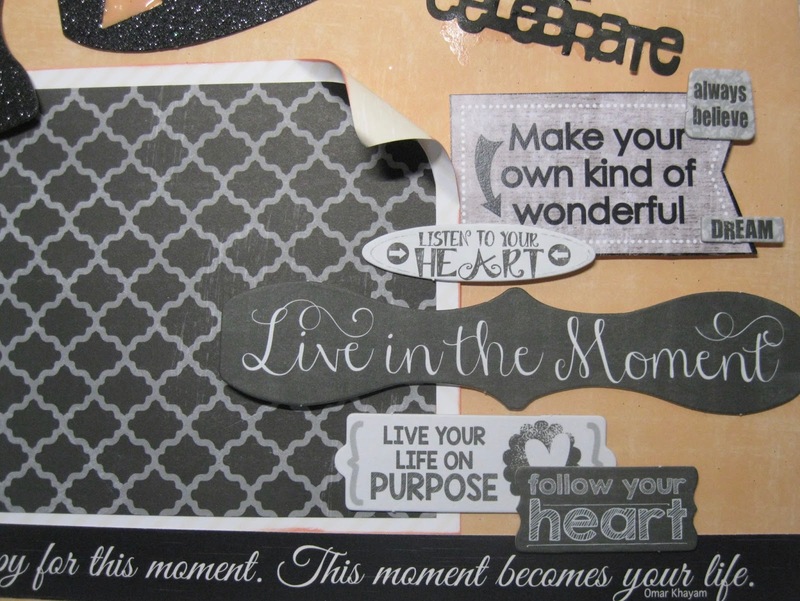 Don't hesitate to play with the papers to create a project. Many of the paper lines go hand in hand. The 12 X 12 base paper is QQP-AW101. The middle of the layout, I die cut the balloons out of the same paper as the base paper, then layer ed on to black card stock. I distressed the balloons using Coral PowderPuff chalking Ink (from my stash). The strings and celebrate also from black card stock. The lower right of the layout. Here you can view all of the quotes that was used. I used quotes from 49 Shades of Gray 500. On the left you will see the flower that was created with Anchors Aweigh 109 using Berry Jam PowderPuff Chalking Ink to distress the edges of the flower with a brad center. The quotes came from Shades of Gray 500. The quotes can be seen as well. The photo mats are from 49 Shades of Grey 102 and Windsong 100. 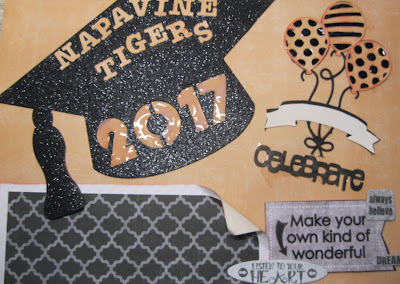 The upper right of the layout, I used a large graduation cap cut out (Created from glitter paper) with 2017 already cut out of the cap, I added glossy accents to make the year pop. I added the letters cut out of Anchors Aweigh 101. Thanks for stopping by, I hope this inspires you to mix and match the paper lines to create something wonderful.